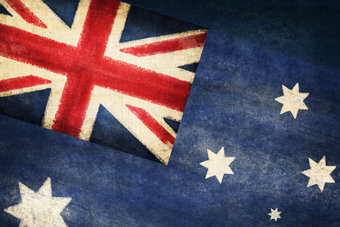 Australia possesses, in the blood of its political system, a curious range of anomalies on that subject. On the one hand, it is a political scientist’s dream. Preferential voting means that votes, rather than being exhausted at first instance in a “first past the post” system as employed in the UK, are stored up and counted. This can lead to curious results, given that “preferences” will carry the second best party or candidate across the line. Those with more primary votes will come up on the day as losers. This brings us to that more curious of beasts in Australia known as the Senate. A bicameral legislature, the Australian Commonwealth operates as other political systems with a lower house and upper senate. The Senate is supposedly a house representing the interests of Australian states. In practice, it has often become the target of voices skeptical about its impediment to the workings of the majority which comes from the lower house. Its 76 senators are not all elected at the same time, an aberration which has caused troubles in the past. How they have been elected, however, has been the source of some consternation. During the Whitlam years in the 1970s, that hybrid pseudo-American inspired body proved the greatest of stumbling blocks to the reformist agenda of the newly elected Labour government. The blocking of supply, instigated by the conservative opposition, eventually led to the demise of the prime minister, Gough Whitlam. Others have argued that the CIA lent more than a helping hand in the endeavour. Suspicion by the major parties, in other words, is rife about the Senate. Fruit salad selections to the upper house are made because of an assortment of extraordinary preference swaps and a system known as “voting above the line”. This system was introduced by the Hawke government in 1983 to the Commonwealth Electoral Act to make voting easier. If you wished to avoid numbering 100 or so boxes in consecutive (yes, consecutive) order, you could mark one box above the haze inducing number of blanks. This would mean a speedier exit from the polling booth, though not necessarily an easier outcome at the count. The more diligent, and one might say pious Australian voter, continues to number each and every box. Extraordinary mathematical permutations would result with each Australian election, assisted by those nearest and dearest computers that have become the mainstay of the Australian Electoral Commission. Australia’s supposedly smooth electoral system, however, has suffered hiccups, with 1,375 votes going missing in the 2013 election in the West Australian senate race. This necessitated a re-run in 2014. In the 2013 election, the Australian Senate resembled a motley yet fascinating collective. The problem, argued critics, was that such candidates as Senator Ricky Muir of the Australian Motoring Enthusiast Party might garner a seat on a paltry number of primary votes, while nabbing the preferences from other candidates. The preference deal had become sovereign. The recent changes advocated by the Turnbull government hope to end such perceived aberrations. Under the changes, parties will not be able to swap preferences. Voters would also be allowed to number more than one box above the line of the ballot. This seeming garble of suggestions should draw some suspicions. For one, it comes from the incumbent government, and a major party. Each time reform to the electoral system is touted by a major party, notably one in government, an effort to eliminate variation and opposition is in the pipeline. It is, in a sense, no accident that the Turnbull government is proposing such measures. The previous Abbott government struggled in several areas to implement a range of policies that perished rather noisily in the Senate. Tony Abbott went so far as to deem those Senators “feral” for their obstructionist tactics. If they disagree with you, demean them as violators of the democratic spirit. The response from Senator Zhenya Wang of the Palmer United Party did much to demonstrate the gap between a government that believes it can govern without cooperation and discussion, and a system that operates to encourage scrutiny. “The crossbench plays less politics – or in plain words, most of the crossbench do not oppose for the sake of opposing.” Ever so often, Australian commentators assume that unobstructed governance is good for democracy, when it is actually its greatest poison. Democracy is an untidy business, punctuated by moments of chaos and a series of cooperative measures. The tyranny of the majority, however, persists as a lurking menace. Any electoral change that serves to embolden that sentiment, thereby eliminating the eccentric, the populist and the peculiar, risks further homogenising an already absurdly centrist political environment.